Welcome to Out of Eve, a web application which aims to grant you as much access to what your EVE Online characters and corporations are up to as possible, when you're not in the game. Out of Eve is free and open source software, available on GitHub, and you're free to host your own instance and modify it to suit your needs. 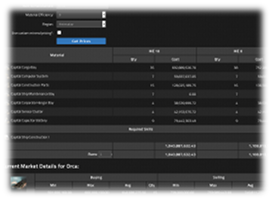 To learn a bit more about some of Out of Eve's features, click the button below for a brief tour. 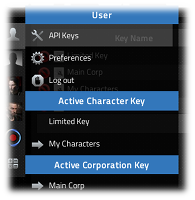 Out of Eve allows you to add multiple EVE API keys, with varying access profiles, enabling you to monitor many characters and corporations using a single logon. Switching between characters and API keys is as simple as selecting a menu item. 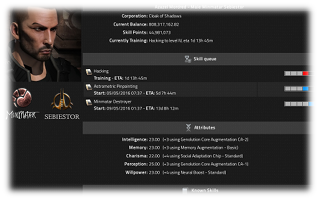 Access your character's full character sheet, including current ISK balance, attributes and augmentations, training queue and all known skills. 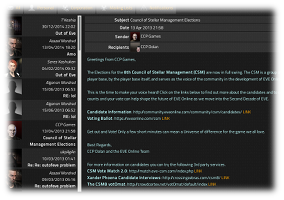 Read your personal EVE mails, courporation-wide mails, mailing lists and game notification mails. 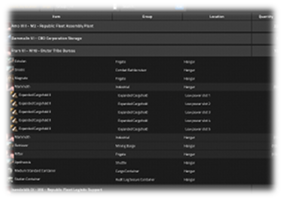 View all character and corporation assets, grouped by location, filterable and fully searchable. 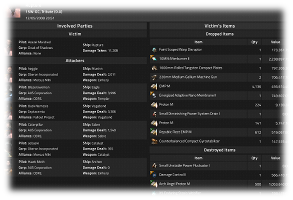 You can filter the assets view to show only your ships, which includes their current fittings and cargo. Character and corporation market sales and purchases are available, as well as currently outstanding market orders and their progress. 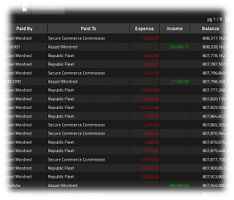 The full transaction journal for characters and corporations may be used to see all income and expenses. Filters by transaction type, as well as a dedicated corporation taxes view, allow quick analysis of transactions, while the daily summary view provides handy daily totals. Keep track of the progress of industry jobs - manufacture, research and more. 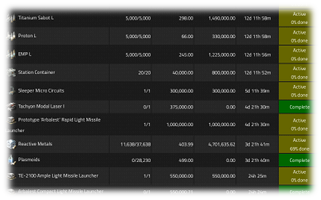 For incomplete jobs, current progress and ETA are shown. Character and Corporation member kills and deaths are shown in a simple killboard style, including involved parties, item drops, and estemated values lost and looted. Several useful tools and calculators are available, including mining calculators, production cost and profitability, and more. These are just a few of the features available in Out of Eve, to keep you in EVE, even when you're not!